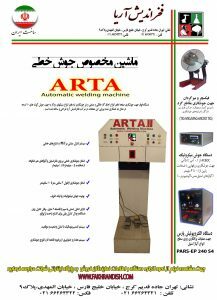 گیاهی ترین گیاهی ترین AnzanDigital فروشگاه Arta Welding Machine | | Fakhrandish Ariya Co. This machine is used for welding plates of domestic and industrial stoves, as well as the welding of edges of various types of sinking nets for welding at 90 degrees in the outer bending edge of these sheets and designed in Fakhrandish Arya Company. 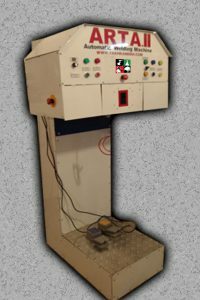 – Hand-held wired control with a distance of 2 meters, control panel on the device and foot control pedal for easier operation of the operator.